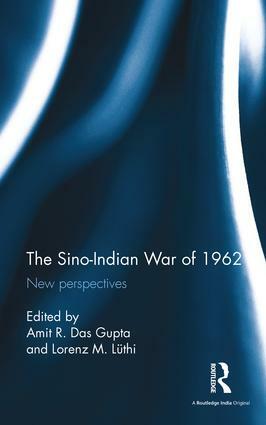 The Sino-Indian border war of 1962 forms a major landmark in South Asian, Asian and Cold War history. Among others, it resulted in an unresolved conflict permanently hindering rapprochement between China and India, the establishment of the Sino-Pakistani axis, the deepening of the Sino-Soviet split and had a lasting impact on Indian domestic affairs. This volume draws on new documentary evidence to re-evaluate perceptions, motivations and decision-making processes of both antagonists, but also of third powers immediately affected by the conflict. It also investigates the effect on India’s internal politics, its Constitution, the Communist Party of India and the fate of Indians of Chinese origin. Finally, it analyses how the conflict is viewed in India today and its ramifications for India–China relationship. A major intervention in the Asian historical landscape, this book will be indispensable to scholars and researchers of modern history, especially of modern South Asia and China, international relations, defence and strategic studies, international politics and government. It will also be useful for think-tanks and government agencies. Amit R. Das Gupta is Senior Researcher at the Universität der Bundeswehr München, Germany. Previously he was affiliated with the German Institute of the University of Amsterdam, the Institute for Contemporary History, Department Berlin, Foreign Office and Jacobs University Bremen. After a first book on West Germany’s South Asia policy between 1949 and 1966, he has authored a political biography of Foreign Secretary Subimal Dutt. Currently, he is writing a monograph on the impact of officers of the Indian Civil Services on Indian foreign policy after independence. Lorenz M. Lüthi is Associate Professor of History of International Relations at McGill University, Canada. His first book dealt with the Sino-Soviet Split and has been translated into Polish and Chinese. He has written on China, Vietnam, non-alignment, Germany and the socialist world during the Cold War. At present, he is working on an international history of the Cold Wars in Asia, the Middle East and Europe.